GreenTeam Service Corp: 8 Smart Tips for Stopping Leaks! 1. Locate your home’s main water shut-off valve. 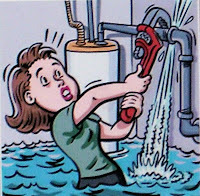 If there’s ever a plumbing leak, go straight there and turn off the water to the entire house to avoid a flood. 2. Install shut-off valves at individual appliances and fixtures. This allows you to keep water flowing in other areas of the house while the water is shut off for making site-specific repairs. 3. Install a flow sensor that detects plumbing leaks. 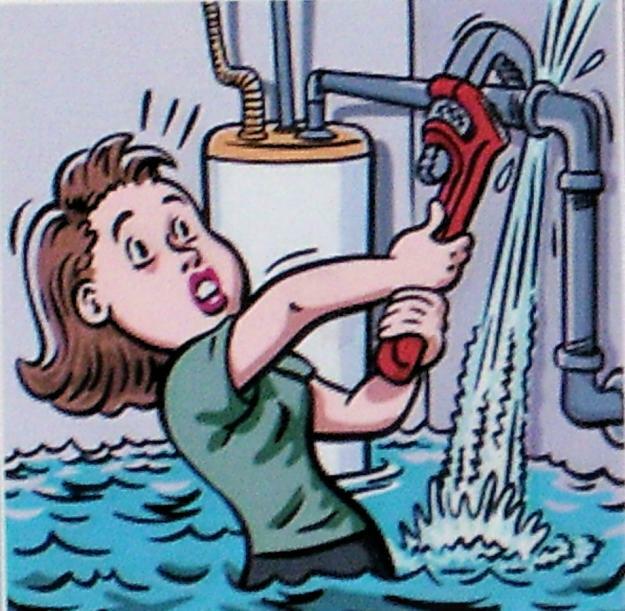 This will automatically shut off water to the entire house or a specific appliance is a leak is detected. 4. Remove hoses from outdoor spigots in winter. This can help prevent frozen water from cracking the pipes and causing plumbing leaks, or worse, a flood. 5. Add pipe insulation to the plumbing in cold parts of your house. This is especially important in garages, basements, and crawl spaces to avoid frozen pipes (and to shorten the wait for hot water). 6. Don’t use exposed pipes as hanger rods for laundry or to store clothes. This can loosen joints and fasteners and lead to plumbing cracks and leaks. 7. Don’t overload vanities and sink cabinets. Crowding things into your cabinets, can jostle water supply pipes and drains, loosening connections and causing plumbing leaks. Leaks like these are often hard to find until it's too late. 8. Fix problems quickly. Even small leaks can make pipes corrode more quickly, and cause significant water damage or mold. Call GreenTeam while there's still time!